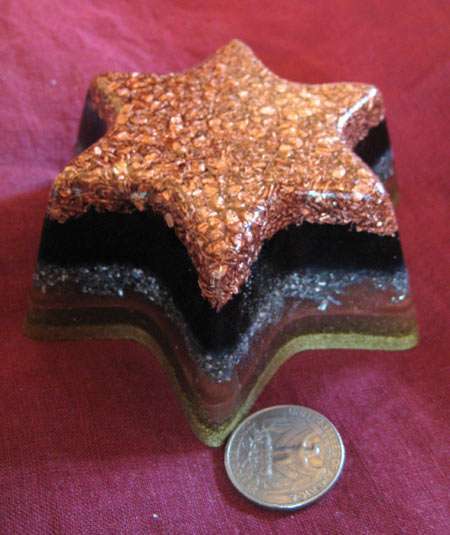 Special Orgonite or Orgone Energy Products for sale. Special Orgite shapes, small and large, and for different purposes, that might fit your special needs. Creativity knows no boundaries. I like to experiment with unusual shapes and compositions, and the energy of metals. This often results in special qualities too. 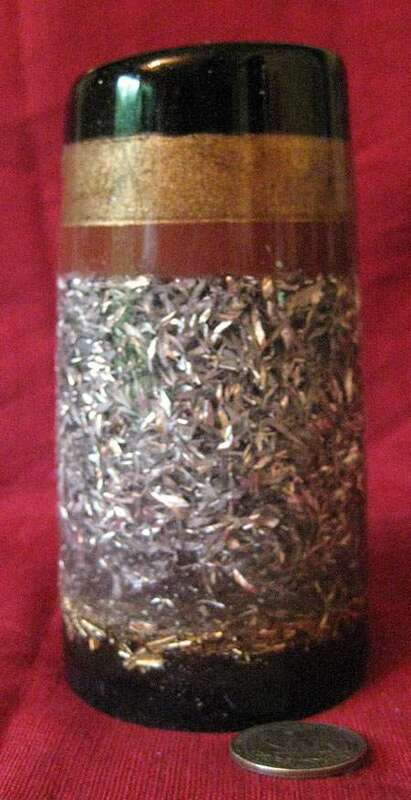 If you want to know more about the properties of metals, click here. 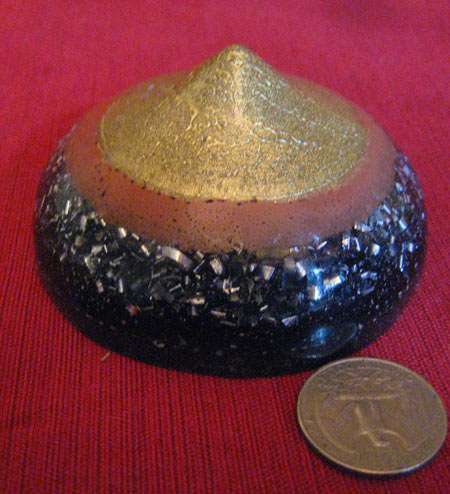 1" in diameter, 4" tall. 1" in diameter, 3 1/2" tall. This is a heavy piece!